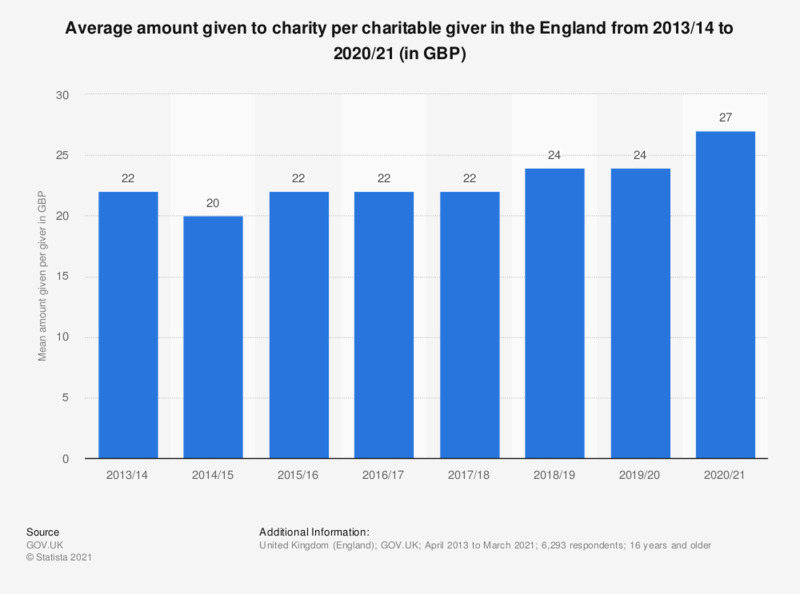 This statistic shows the average (mean) amount given to charity per charitable giver in the four weeks prior to interview in England from 2013/14 to 2017/18. The average contribution rose over the period in question has been 22 British pounds in four out of the five years in this statistic. How likely are you to start a charity or community group in the next two years?